Our purpose is to help cultivate churches who desire to partner with God in the neighbourhood, people who learn to live incarnationally, and leaders who are equipped to lead their people into becoming a Faithful Presence in that place and to that people. 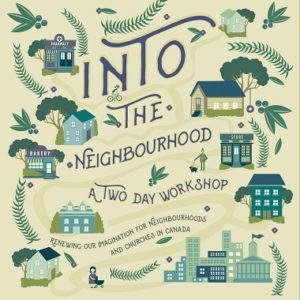 With this two-day event, we will learn, discuss, and challenge one another to live out what we’ve heard through the sessions run by Karen Wilk, Preston Pouteaux and David Fitch. * The Practice of the Lord’s Table: The Table is centered around the presence of Jesus. When we gather with others to participate in this, we tend to God’s presence in our lives. * The Practice of Reconciliation: In a sin-scarred and divided world, the practice of reconciliation puts us at the heart of the message of God: shalom with God and others. * The Practice of Proclaiming the Gospel: The practice of proclamation is announcing – with hope – that this is God’s world and he desires for His presence to break in even further. * The Practice of Fivefold Gifting: The fivefold gifting allows us to receive God’s gifts poured out to different people who work together to advance God’s mission. 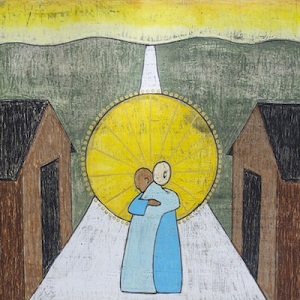 * The Practice of Being with the Least of These: Being with the least of these isn’t a good idea or warm sentiment, but the very way in which God makes his presence known among us. * The Practice of Being with Children: The Practice of being with children shows us the values of the kingdom: wonder celebration, dependence, honesty and playfulness. * The Practice of Kingdom Prayer: The practice of kingdom prayer is the acknowledgement of our submission to God, our desire to be more accessible for His purposes and a longing for more of His presence. An immersive live stage experience based on the best-selling books of Richard Wurmbrand, and on persecution around the world today. The script is written and performed by award-winning international artist Dennis J. Hassell, directed by triple Dora Award nominee Tom Carson (five nationally touring productions), with original music composed by Emmy-winner and renowned recording artist Tom Szczesniak. 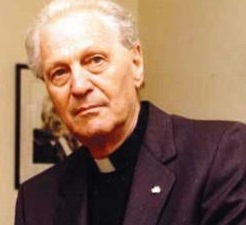 Pastor Richard Wurmbrand (1909 – 2001) was an evangelical minister who endured 14 years of Communist imprisonment and torture in his homeland of Romania. He is widely recognized there as one of the country’s greatest Christian leaders, authors and educators. In 1945, when the Communists seized Romania and attempted to take control of the churches, Pastor Wurmbrand began an effective, vigorous ‘underground’ ministry to oppressed believers as well as to the Russian soldiers occupying his country. He was arrested in 1948, along with his wife, Sabina, who was imprisoned as a slave-laborer for three years on the Danube Canal. Pastor Wurmbrand spent three years in solitary confinement, seeing no one but his Communist torturers. He was then transferred to a group cell, where the torture continued for five more years. . . .
Go here for more on his life. The high quality of both artistic and story presentation with Dennis Hassell and team left me feeling I could be watching any award-winning stage show in Toronto or New York. It’s incredible that Canadians have the opportunity to bring Solitary Refinement into their churches and schools, and they should run to book this opportunity across all generations. I am promoting this as a ‘must see’ by all audiences needing the story of Christian persecution past and present, and for those who need to be educated about the reality of faith flourishing amid persecution. I left as a stronger person as a result of watching Solitary Refinement. November 4 is the International Day of Prayer for the Persecuted Church. This collection of ink wash paintings by the eminent Chinese artist, poet, and critic, Dao Zi, is an extraordinary meeting of East and West. Combining the distinctive and deeply rooted Chinese technique of ink painting with Christian iconography, Dao Zi attempts to give shape and colour to transcendence. There will be an opening reception from 4:30 – 7:30 on the 16th, and a free lecture – Blood & Ink: A Chinese Christian Vision for the Arts – the next evening in Regent College Chapel. The exhibit will run until November 16. A community built around love for people with developmental disabilities is undergoing ground-breaking changes. L’Arche of Greater Vancouver has been running housing, offices, community events and a prayer space on Sussex Avenue in Burnaby since 1974. With a building more than 50 years old, according to L’Arche, it’s time for it to go. “It was actually a home for unwed mothers that the United Church built and gifted to us for a nominal sum,” said executive director Denise Haskett. Now, the organization has found the building is old, too small, and inaccessible for many of the people they serve. The Burnaby property will be redeveloped to make way for a three-story wood frame structure, complete with L’Arche residences for adults, community inclusion spaces, a chapel, offices, 10 independent living units and 29 affordable housing units. The charity was founded in France in 1964 when Canadian Catholic humanitarian Jean Vanier invited two men from an institution near his home to live with him. “Essentially, they wanted a friend. They were not very interested in my knowledge or my ability to do things, but rather they needed my heart and my being, ” Vanier said. Later this month (October 26), City in Focus will host a Transformation Through Togetherness breakfast with members of the L’Arche community at the Vancouver Club.